Few things are more unsanitary in your home than sewage backup, and leaving it untreated can be a huge mistake. When sewer drains begin to clog, it doesn’t only impact your sewer but also hinders the performance of your home’s entire plumbing system. The same fixtures you use many times a day like toilets, sinks, and showers could be in jeopardy if you forgo sewer drain cleaning long enough. Your property will also experience some damage as well, including puddling on your lawn. Even worse, the health and well-being of your family will be at higher risk! If you want to avoid these possibilities, call T.Webber for sewer drain cleaning in Cold Spring. Our cleaning service is quick and efficient so your sewer drain woes are put to rest immediately. We apply various methods to rid your sewer of any potential clogs, including camera inspection and hydro jetting. 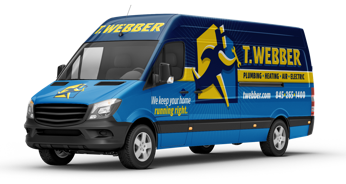 No matter how extensive the clog, you can always count on the plumbers at T.Webber to get the job done! 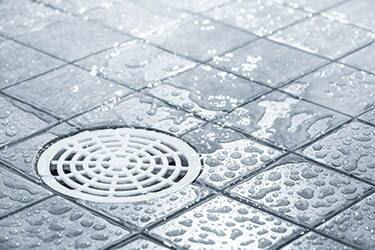 How Can Sewer Drain Cleaning in Cold Spring Help You? Better Home Value: Clean sewer drains can actually improve your home value. A home struggling with frequent sewage backups won’t necessarily appeal to potential buyers due to its unsanitary consequences. However, a single sewer drain cleaning is all you need to keep home value at a higher rate and keep buyers interested. Improved Plumbing Performance: When your sewer drains back up, it can negatively your entire plumbing system in ways you didn’t even imagine. This means no access to essential plumbing fixtures like toilets, showers, and sinks. Sewer drain cleaning from T.Webber can improve plumbing in all areas of your home, especially when you need to rely on your fixtures the most. A Healthier Home: Once you receive sewer drain cleaning from T.Webber, you can rest easier in your home knowing the health of you and your family aren’t at risk due to the unsanitary nature of sewer clogs. Full access to working toilets and showers with clear, fresh water is all it takes to keep in your home satisfied. Remember: a healthier home is a happier home! Contact T.Webber today for sewer drain cleaning in Cold Spring to experience these 3 benefits and more! We’ll improve life in your home one cleaning at a time!